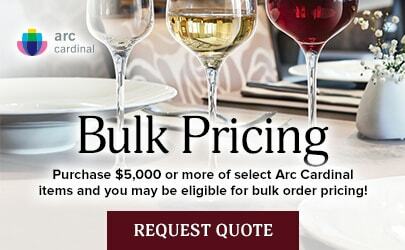 Enhance your appetizer or dessert presentations with the Arcoroc R0735 4.5 oz. 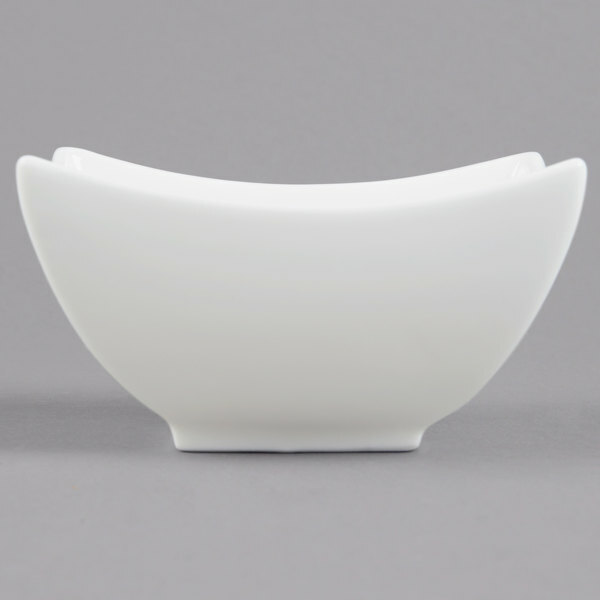 deep square porcelain appetizer dish. 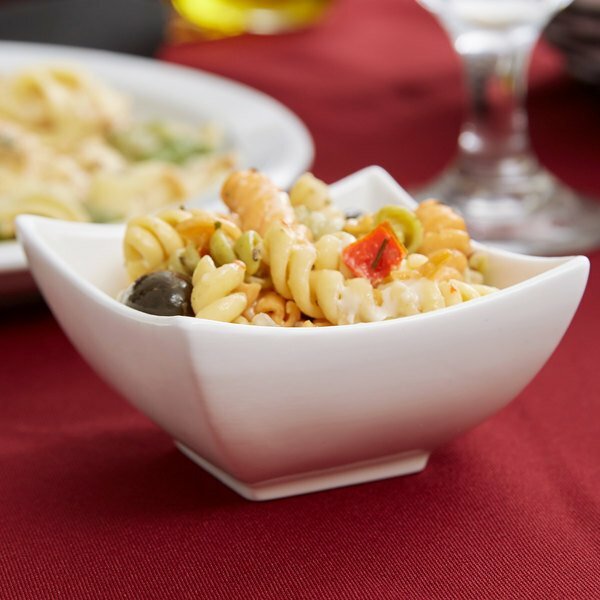 The Appetizer Line from Arcoroc is contemporary and upscale with a variety of mix and match shapes and styles to add a touch of drama to your table settings and serving ware. 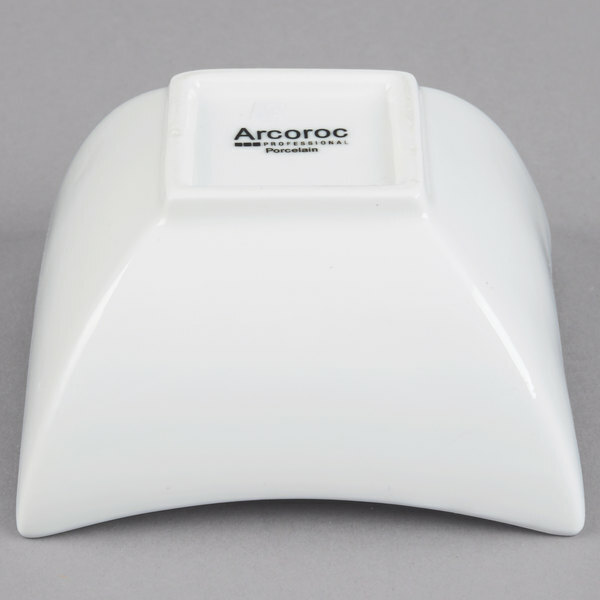 This Arcoroc R0735 4.5 oz. 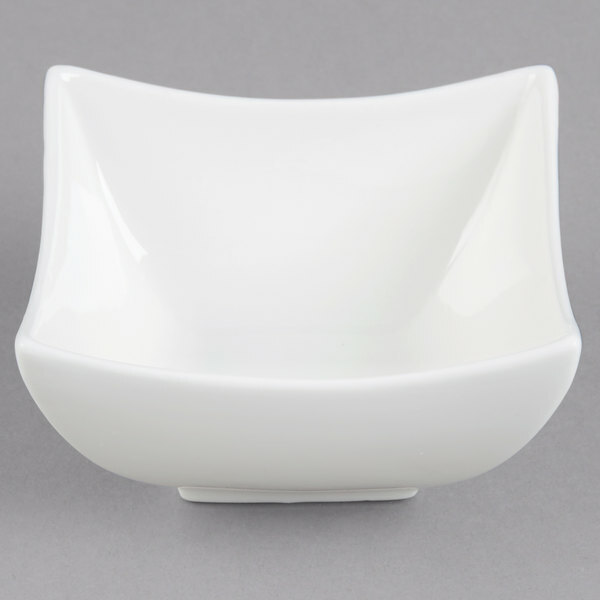 deep square appetizer dish is ideal for hors d'oeuvres, sushi, gelato samples, even condiments! 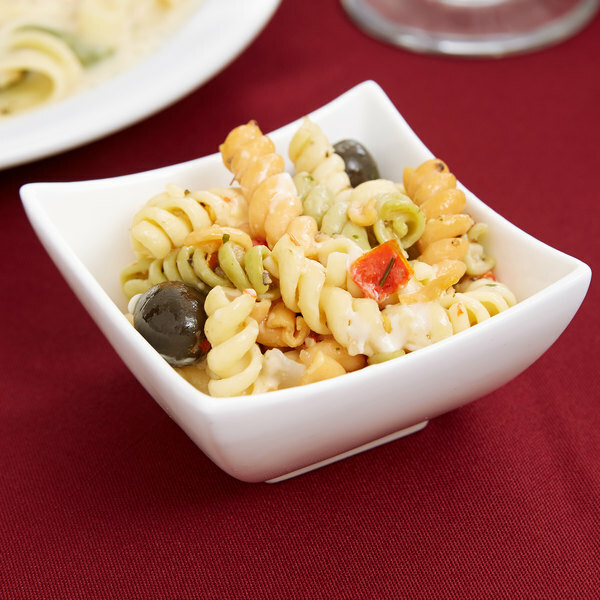 The deep square appetizer dish makes an alluring addition to your catering service, banquet hall, tasting, or tapas bar. Great for a side of dressing with a salad or a cup of cole slaw. We have also used them for a side of cocktail or tartar with a fish entree. They are little small for a full sized entree side. These are perfect for a little side dish. We use them mostly for sauces or poached eggs and they are pretty addition to our plates. 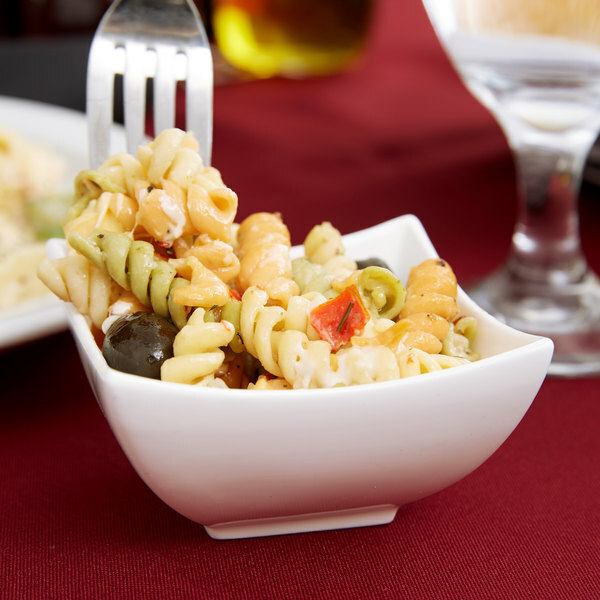 These dishes are absolutely durable. They'd have to be to survive the shipping they experienced without breaking! Note that these fit in the palm of your hand. I ordered 6 of them along with a few other similarly small items. The entire order would have fit in a space 12 inches by 8 inches. The box they arrived in was a used "Raisin Bran shipping box that measured approximately 2 1/2 feet square. The breakable items were placed on the bottom of the box and then air bags above them. The dishes came in a very flimsy tray with a crisp plastic on top of them. Needless to say they arrived upside down, thrown from the original packaging and strewn throughout the box. None broke. None chipped. I paid for this shipping unlike other sites where shipping is free for a certain amount spent. After searching the internet I noted many similar reviews. Odd how none of these oversized packing box and poor packing reviews ever get printed. We'll see if Webstaurant is brave enough to print this review. Thank you for the review, Janet. We are sorry you were not satisfied with the packaging on these dishes. We value your feedback and we are always looking for ways to improve our services and packaging. These plated are a show stopper. Perfect for a tasting or sampling event. They do chip quite easily if you are not careful with them. This is a great design. People love the shape and it works great for any appetizers. Good price and goes great with a contemporary setting.